Ian Bateman has been at the top of the British jazz scene for a long time now. After paying his dues with the popular Pete Allen Jazz Band for 7 years he got his first break when he joined Rod Mason and his Hot Five in Germany in 1992 - a move that introduced him to the early music of Louis Armstrong. Of course, being a thirty-something (at the time! ), Ian was more used to the music of Louis Armstrong and his All-Stars and the pop hits of this great man - as was his brother Alan. 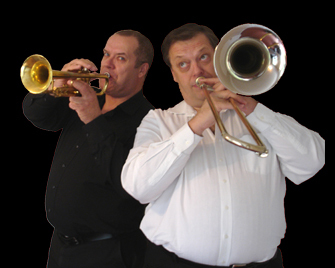 Ian followed this with long spells with Terry Lightfoot and his Jazz Band and latterly with Acker Bilk and his Paramount Jazz Band. During this time, Alan Bateman was playing semi-professionally whilst holding down a very skilled job at the EMI CD production facility in Swindon. He eventually turned professional and joined Terry Lightfoot's band, bringing him and Ian together on the same European jazz circuit. People soon caught on that once again the British jazz scene had two brothers! Very soon the brothers were being booked at jazz clubs together as guests and whilst there was the obvious novelty of having two brothers on stage, they both soon realised that their styles were very complimentary. What was more important was that Ian realised that Alan sounded like Louis Armstrong! Alan, with more time on his hands had gone into study mode and the results were truly astounding. Having been involved with many Louis Armstrong tributes over the years, Ian felt that nobody had done it properly, for want of a better word. Playing the tunes that Louis played wasn't enough. This was usually because of the styles of the musicians within a band being a limitation on recreating a particular sound. So, Ian set out to form a band and select musicians who were right for the part, rather than just picking mates - a difficult thing to do but the right thing to do. Ian sat down for two months and transcribed all of Louis Armstrong's popular recordings with the All-Stars and presented his new musicians with the music and some CDs to go away and study. In January 2011, the band got together in a little room at the Trout Inn at Lechlade and played together for the first time. It was immediately obvious that he had the right musicians and that by playing the same arrangements with the same vitality and enthusiasm, they had something special. As Ian said at the time ' this band knows when to kick and they do it as a team - and watch out when they do'! Before the band played it's first gig, they went into the recording studio and their debut CD 'Now You Has Jazz' was produced. It immediately caused a stir on the British jazz scene and everybody was talking about it. Read the review of this CD by Ralph Laing, you'll never read a better review (it is reproduced in the Ultimate Louis Armstrong Show Brochure)! It was subsequently voted the best CD of 2011 in the British Jazz Awards. 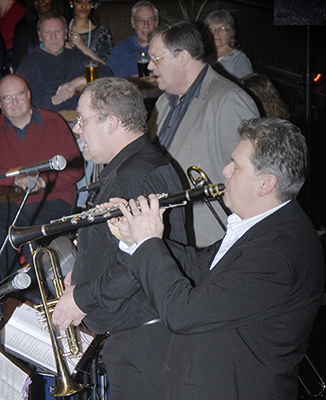 The band played it's first gig at Warlingham Jazz Club to a packed audience and it was a complete success. Word spread rapidly and Ian's phone started ringing. Six months later they were playing in theatres, at which time they ditched the music, it was in their system and the band took off! By January 2012 they were appearing at Ronnie Scott's Jazz Club in London among many other prestigious venues. 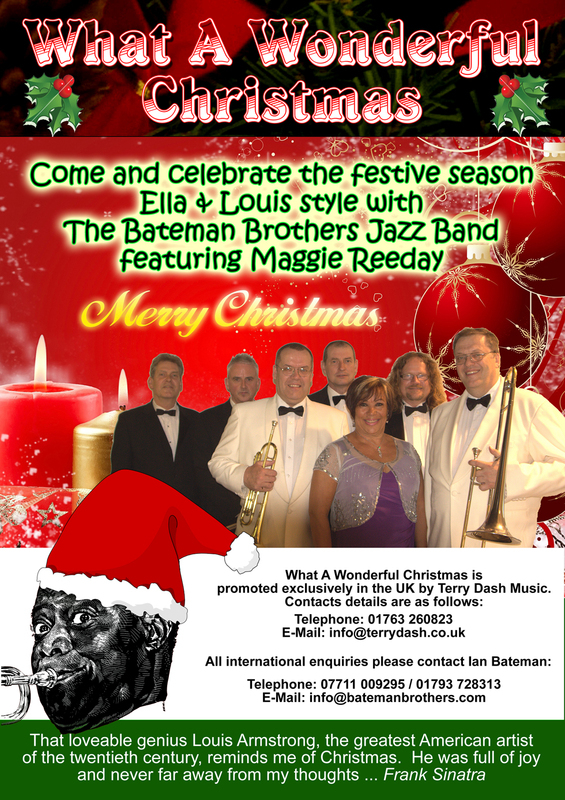 The Bateman Brothers Jazz band is now at the point where the musicians put this band first before all others, so they are raring to go and put 100% into making this band the best jazz band in Europe (which it probably already is)! You jazz fans and promoters out there will be the best judge of that, so go out and check out the band either in concert or on the web (via this site)!